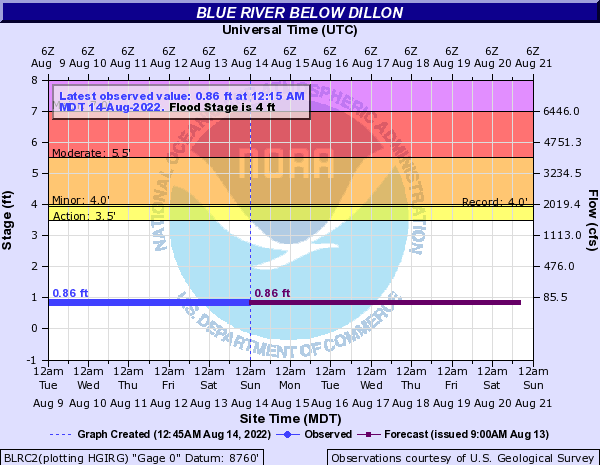 Because of the many streams and rivers flowing in between the start of this section and Breckonridge (as well as Dillon Reservoir controlling flows), this part of the Blue can be run more reliably. This is a short technical section where the Blue drops through a small gorge. The gorge is where the actual harder whitewater is (class III/IV). The rest of the run is mainly a class II fishing stream (especially if you put in above the Blue River Campground). Access this campground off of Highway 9 about 8 miles north of Silverthorne, CO. It's all class II between this putin and the next, but something to consider as access is easy. Good for paddle rafts as well. Drive back upstream behind the road fence from the overlook area. This putin cuts out as much class II as possible. 2nd Canyon is the meat of the bit, the steepest and most challenging section on this run. Have fun and look out for the mystery hole on river left half way down.